This coming summer, the Ramah camping movement will celebrate 50 Years of “Tikvah” programs. Tikvah is a special needs program that is taking place in most of the Ramah camps. These programs include groups of campers with various special needs, inclusion campers and family camps. I was privileged to take part in this amazing program as a staff member in Camp Ramah in the Poconos. 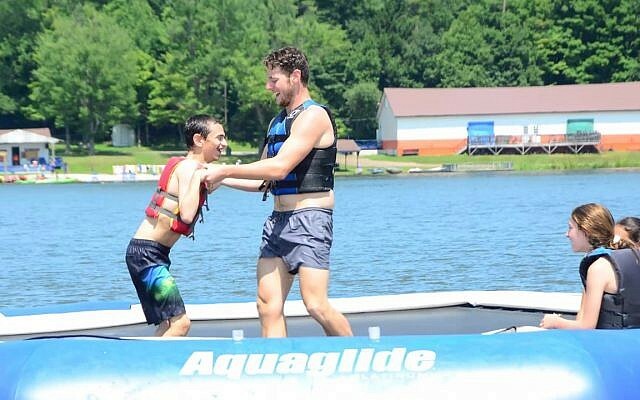 I have worked six summers with the Family Camp and two summers as a counselor of “Yedidim” – a group of campers with different special needs that comes to camp for a session (a full month). I have written in the past how the program had an immense impact on me and on campers at camp. This time I want to share something else that I have just recently realized, something big. 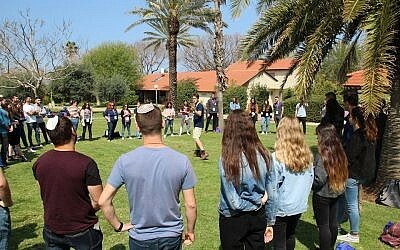 As a leader, I had the opportunity to share my personal “shtik” or passion about Ramah and I knew right away it is definitely Tikvah! The summers working in the program have been the best in my life and the impact of them on me are ongoing. There are so many stories to share about this amazing program and campers; one of them is about Randy. On his first summer at camp, Randy did not verbally communicate and it was very hard to guess what he wanted, was feeling, etc. He refused to take part in most activities and the staff members were often wondering whether he enjoyed being at camp at all. On his second summer, he started participating and communicating a little bit. His third summer was something else: Randy showed progress in every aspect. He was active and communicated in a way that made us all ecstatic. 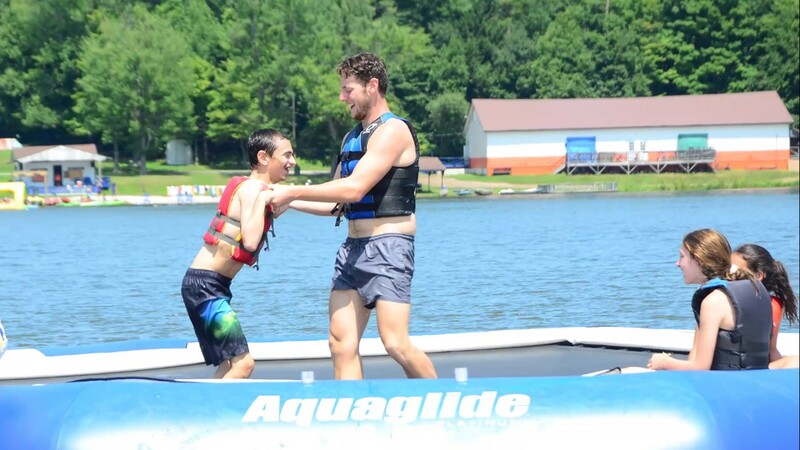 My highlight with him was going for the first time on the inflatables in the lake. It may sound minor, but for us staff, it was a big deal. I told his story in front of all 360 future Ramah Shlichim and I could feel how touched they were to hear about it. After this sharing, a few came to talk to me. None of them has ever worked with kids with special needs nor were a part of any kind of inclusion program. Some were super excited. They asked if they could take an active part in this program. Many were scared. They had concerns regarding how to handle special needs. They spoke openly and honestly about their fears, lack of knowledge, etc. I can understand the concern: as a first-time counselor at camp, you want to establish meaningful relationships with the campers that are based on communication, appreciation, admiration… Down syndrome? CP? Autism? Is this what I am looking for? they may be thinking. What they still don’t know is that most of them, if not all, will somehow be part or at list be exposed to the different versions of Tikvah at their respective camps. The fear or hesitation from what is unknown will most likely change to acceptance if not enthusiasm through their time at camp. As an Israeli who has a passion for special needs, it is amazing for me to think that hundreds of my fellow Israeli young woman and men will be returning from American Jewish summer camps with much better understanding of a very large population that is much more than its title “population with special needs.” It is exciting to realize that the shlichim that come to camp to teach and educate campers actually return back to Israel much more knowledgeable, open minded and educated regarding this subject. This summer Ramah in celebrating 50 years of inclusion. 50 summers of a Jewish summer camp that is open to all. I hope that in the next 50 years, this incredible program will further develop and thrive. Oz Isseroff studies law and social work at the Hebrew University of Jerusalem.